Givenchy blouse in sheer floral-lace. 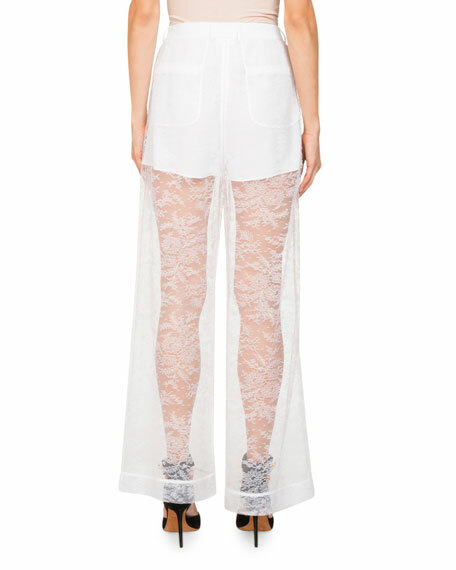 Givenchy pants in sheer floral-lace with shorts lining. Givenchy blouse in floral-print silk georgette. Mock neckline. Three-quarter sleeves. Semi-fitted. Hem hits below hips. Pullover style. Silk. Made in Italy. Givenchy silk georgette blouse with ruffled trim. Spread collar; button front. Long sleeves; button cuffs. Classic silhouette. Silk/polyester. Made in Italy. 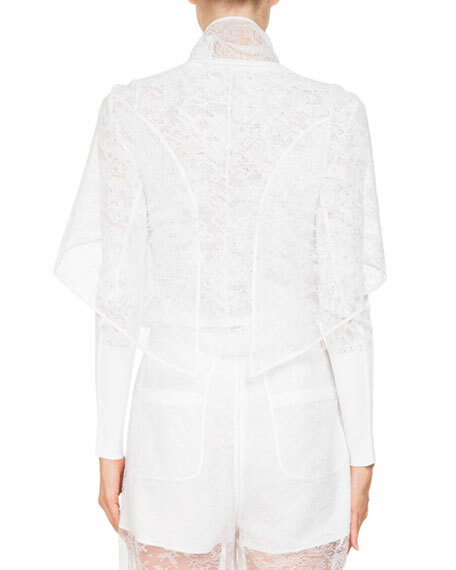 Givenchy classic blouse in silk georgette. Spread collar; hidden button front. Long sleeves. Chest patch pockets. Tunic fit. Shirttail hem. 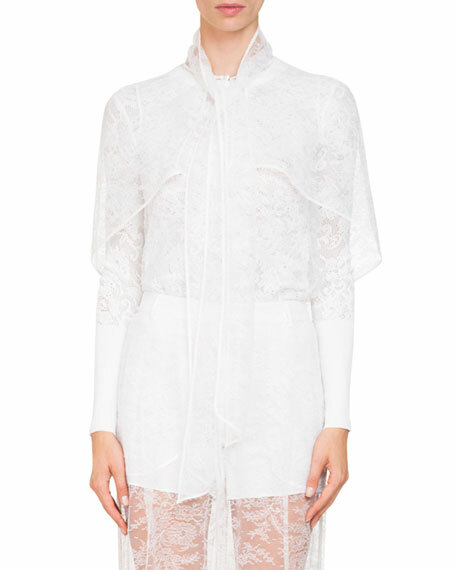 Givenchy classic blouse in silk georgette. Spread collar; hidden button front. Long sleeves. Chest patch pockets. Tunic fit. Shirttail hem. Silk. Made in Italy. Givenchy pants in sheer floral-lace with shorts lining. High-waist; hook-zip fly. Back patch pockets. Relaxed fit through wide legs. Ramie/nylon. Givenchy pants in sheer floral-lace with shorts lining. High-waist; hook-zip fly. Back patch pockets. Relaxed fit through wide legs. Ramie/nylon. Made in Italy.